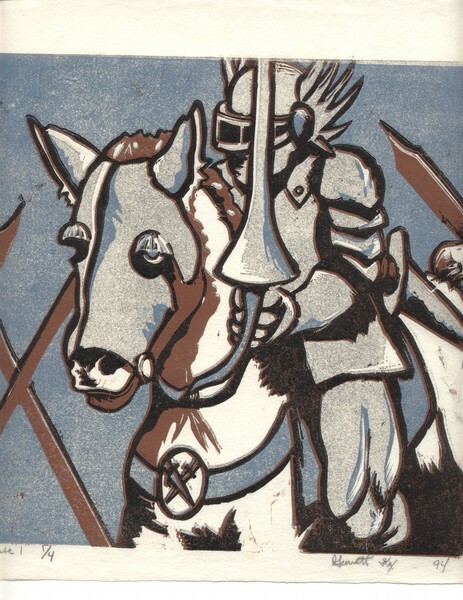 Knight and steed relief engraving on linoleum prinited on mulberry paper. 1 of 4 in the series 11" x 11". this is a very cool picture great job.